The question is raised regarding an infection related to a tattoo. 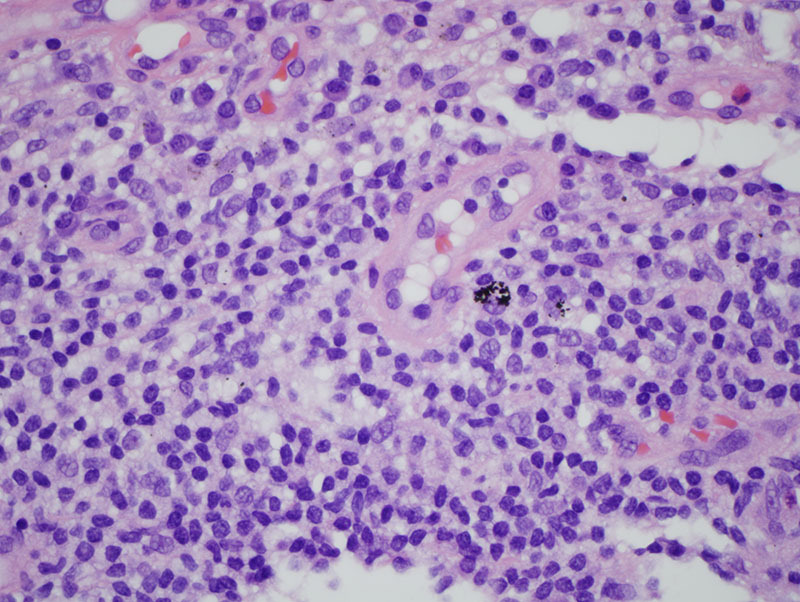 The biopsy shows a striking lymphocyte, granulomatous and neutrophilic infiltrate in association with carbon pigment. 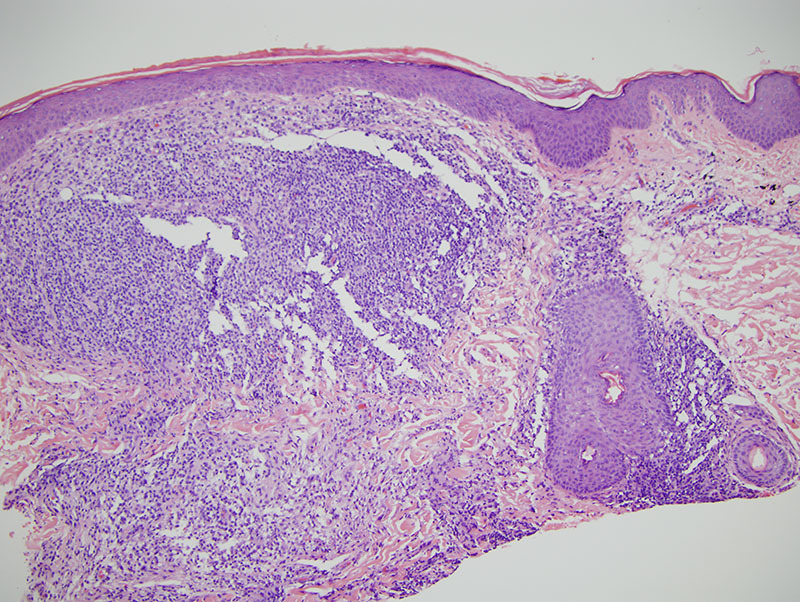 The neutrophilic component of this inflammatory cell infiltrate is a critical clue potentially signify an infection such as mycobacterium since the neutrophils are intimately associated with histiocytes defining what is in essence a neutrophilic and granulomatous response. 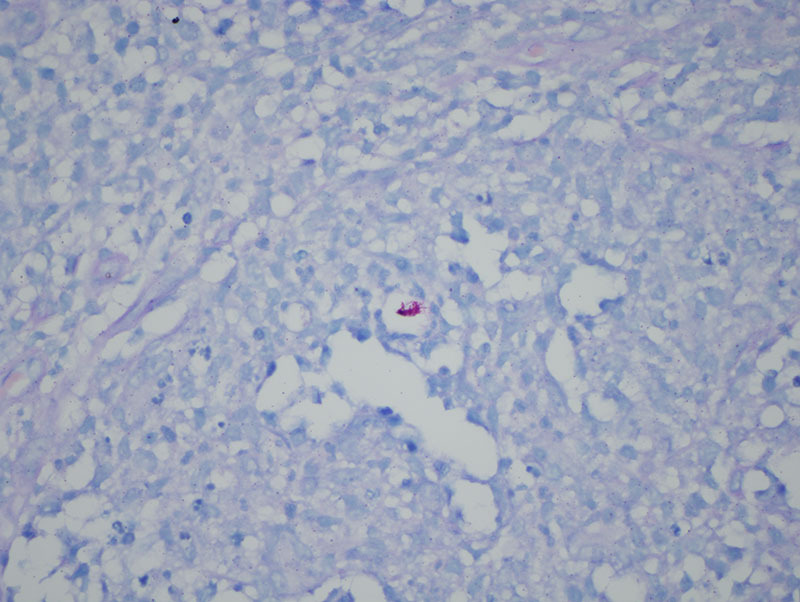 Indeed the acid fast stain demonstrates a cluster of acid fast bacilli in the nidus of inflammation diagnostic of mycobacterium. 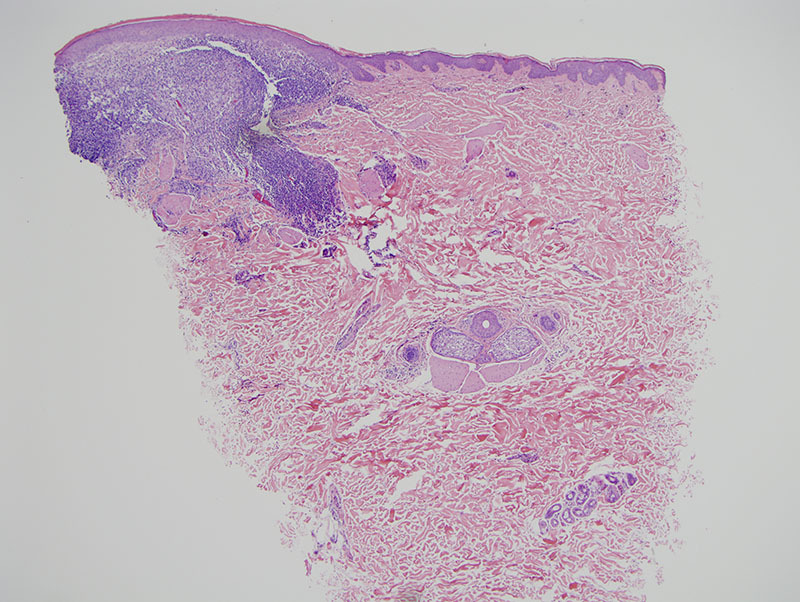 There are reports of outbreaks of nontuberculous mycobacterial infection after tattooing whereby the main organisms implicated are Mycobacterium chelonae and Mycobacterium abscessus. The organisms have been isolated in the ink and are typically identified in the gray part of a tattoo.